A lawyer appointed by a Cameron County Probate Court to represent any children in need of a guardian held at Southwest Key Programs-Casa Padre facility fired back at the federal government, describing a maneuver to remove a county-ordered investigation to federal court as frivolous. “The notice of removal is frivolous, and this case should be remanded forthwith to the Probate Court, with payment of costs and fees incurred as a result of the removal,” attorney ad litem Myles Garza wrote in a motion filed Friday. County Court-at-Law No. 4 Judge Sheila Bence appointed Garza, investigator Hailey A. Hobren and six guardians July 11 to investigate whether children held at the nonprofit facility that contracts with the Office of Refugee Resettlement need legal guardians. With a court order in hand, Hobren and the investigators were turned away from Southwest Key Programs-Casa Padre on July 20 after ORR lawyers removed the investigation to federal court, arguing that is the proper jurisdiction. The ORR has since asked a federal judge to dismiss the court-ordered investigation. The motion argues that removal is improper because the ORR is not a named defendant in the court-appointed investigation. The investigation instead targets Southwest Key Programs-Casa Padre. Furthermore, Garza argues that there is no federal jurisdiction or judiciable controversy warranting federal removal. In its removal, the ORR said the move was proper, arguing the county commenced acivilactionagainst the custodial authority of the United States, which Garza said in court documents is an assertion without foundation. “In fact, the civil action in probate state court is not ‘against’ the Office of Refugee Resettlement at all,” the motion states. More so, Texas law states that court-initiated investigations are not adversarial, Garza argued in court documents. The attorney goes on to accuse the ORR of creating a needless judicial spin by attempting to label the court-initiated investigation as a “clash of power” between the probate court and federal government. “Rather,theProbateCourt is using the powers vested by the State of Texas to assist ORR to comply with the FloresSettlementAgreement and open the door for future joint efforts between the ORR and the State of Texas,” the motion states. That agreement bars the federal government from detaining immigrant minors for longer than 20 days, which President Donald Trump’s administration asked a federal judge to modify in July. A federal judge in California rejected the request, which was made in litigation brought by the American Civil Liberties Union that effectively stopped the federal government from separating children from their parents under the administration’s zero-tolerance policy toward illegal immigration. 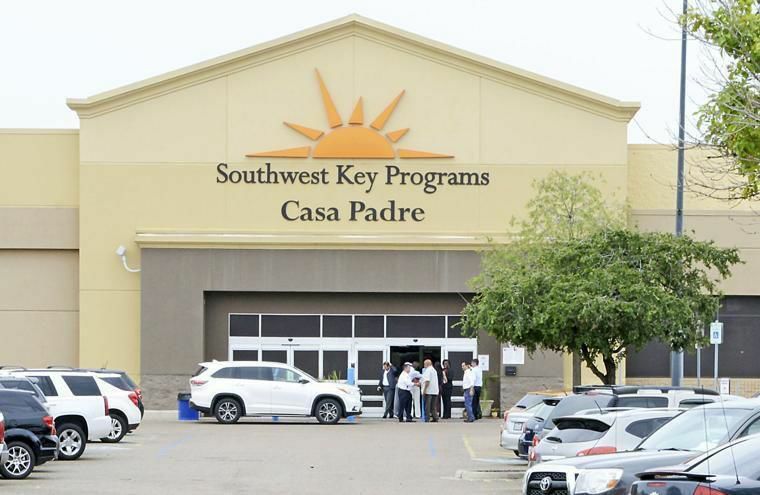 Before the president reversed course on zerotolerance’s implications for family separation, some children impacted by that policy were held at Southwest Key Programs facilities, including Casa Padre. It’s unclear whether some of the 559 children who still haven’t been reunited with their parents under a federal court order are being held at Casa Padre, or in any of Southwest Key Programs facilities in Brownsville. In that motion, Garza also argued that the ORR may have custody over unaccompanied minors but does not have the legal powers of a parent or legal guardian, which the courtinitiated investigation would accomplish. Garza also complains that the investigator and guardians requested access to the facility, complying with federal rules and regulations governing access, and as of Friday, the ORR had not responded. In a report to Bence on Aug. 2, Garza said the government had effectively stonewalled the courtordered investigation. Garza also told Bence, who scheduled another status update for Sept. 10, that he will respond to the ORR’s motion to dismiss the investigation.